It’s safe to say that a successful humor marketing strategy is one part brilliant creativity, one part innovation and one part dumb luck. Most campaigns that work do so because they apply the Will Rogers concept to their marketing design. They take advantage of a humorous part of life that everyone can relate to as it happens to someone else. Humor marketing is a tricky business, though. Many brands try to pull it off, but only a handful make it work. What is it that they do right? Evian took the “ah” approach with their Dancing Babies video ads. For example, the Evian Baby Me commercial put a diverse group of confused people in front of a window dancing with their baby counterparts. My personal favorite was the Baby Bay ad. Evian created stereotypical beach baby characters and inserted an adult surfer dude who has no idea what is going on into the mix. In the end, the out-of-place adult hits the beach bar only to have a baby bartender complete with straw hat and ugly shirt hand him a bottle of Evian water. Evian made dozens of these commercials, each with a different baby theme and each one funny. Why does it work? Adult brains go ga-ga over babies. I think Jennifer Viegas from Discovery News said it best: Adult brains are wired to go ga-ga over babies. Researchers at the University of Oxford found adults have a cerebral reaction to pictures of infants. That, and it’s just funny to see babies in diapers doing adult things like nobody is watching. The marketing firm for Poo-Pourri had a difficult product to sell. Their brand focuses on something everyone can relate to, but no one talks about in polite company. They tackled the problem by making fun of an old 1950s tall tale — Girls Don’t Poop. The video involves a pretty and classy young woman going into graphic detail about her bowel habits. It dumped many comedic little astronauts of its own as women from all over the world made potty videos in response to the Poo-Pourri-generated hashtag campaign #girlsdopoop. Why does it work? Well done bathroom humor is funny. The obvious answer is they aired out a topic that makes most people giggle and introduced a product that made sense in context. It’s funny on the surface, and the delivery was undoubtedly effective, yet, people could relate to it as a genuine and honest problem. It was a risky humor strategy but one that paid off. 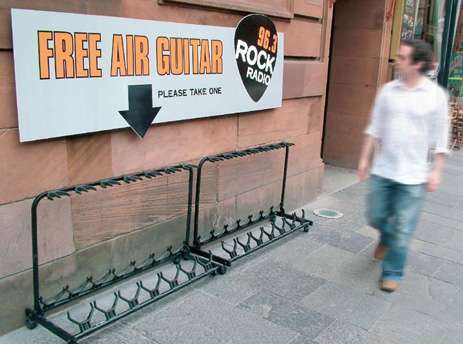 The Free Air Guitar campaign generated no-cost publicity as people walked by and took pictures of the sign for social media. It went viral fast. Everyone loves a touch of subtle irony. The empty racks and seeming nonsensical concept were enough to make them stop and wonder: Do people actually pay for air guitars? The campaign allowed the brand to make fun of itself, too, and people responded to their humor. All three of these heroic marketing efforts have that one thing in common. The real trick is to sell your brand without looking like you are trying to sell anything. 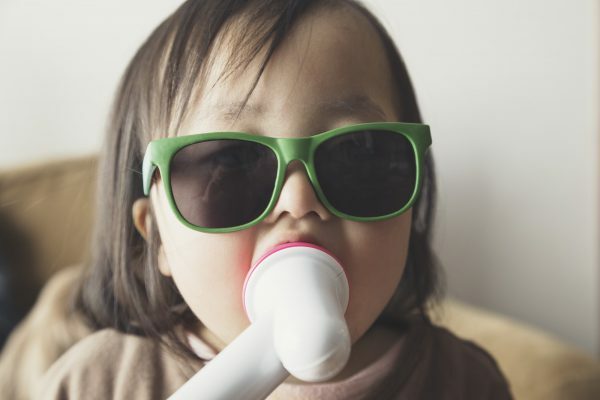 From dancing babies to girls who poop to the absurdity of free air guitars, consumers were able to take a step back and laugh about the crazy turn in someone else’s life.